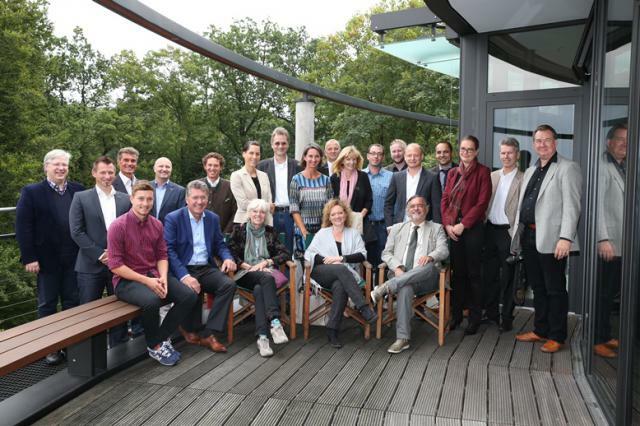 Paola Govoni, senior partner CSIL and Editor-in-Chief of World Furniture, attended the very first Meet & Greet organized by Schattdecor – global market leader for decor paper - on September 3rd, 2015 in Thansau/Germany, with the participation of a group of international journalists and company’s top representatives. The agenda of the day included a presentation of latest company’s achievements and a brand new corporate video by Schattdecor. A meeting with the company’s founder Mr. Walter Schatt offered the valuable opportunity to have a deeper insight into the story of this leading brand and its shared guiding values, as well as in the consolidated company’s culture of ‘being-together as a team’. A guided tour through the whole production site in Thansau was followed by a visit to the Rosenheimer Herbstfest (Autumn Fun Fair). "Last year (2014) was the first one in which we processed over two thousand million square metres of paper, and it was the year with the highest turnover in the group's history. As global market leader it is always a great challenge to achieve further growth and we are thus very pleased. At the same time we are extremely proud of this team achievement". Investments of almost Eur 60 million were made in 2014, mainly concerning completion of the new plant in Tyumen (RUS), an increase of foil capacity in Głuchołazy (POL), expansion of the impregnation resources in São José dos Pinhais (BRA) and construction of a further papermaking machine at Schattdecor's Chinese base paper joint venture Kingdecor.